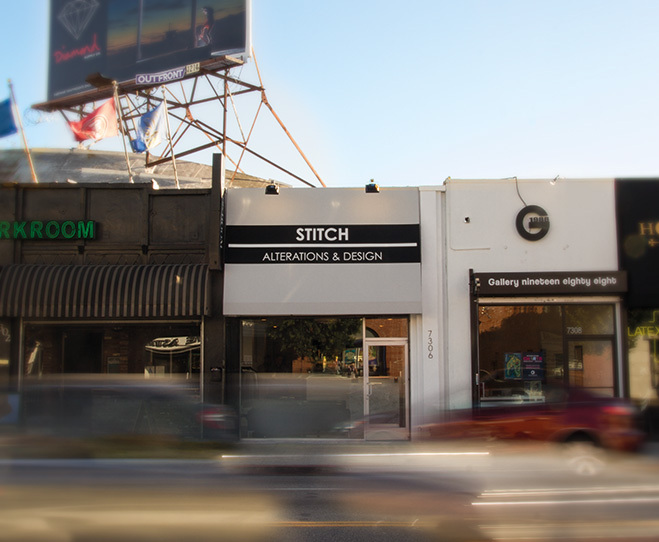 Tailoring has gone luxe with the opening of Stitch in Los Angeles. The sleek, marble-hued shop on Melrose Avenue features spacious and stylishly outfitted dressing rooms with enough room to slip on even the largest of ball gowns. Owner Alexander Harden elevates the tailor shop experience with a team of expert and trustworthy seamstresses boasting solid design skills and experience, as well as a bridal team specifically trained in handling the intricacies of wedding attire, from basic hemming to custom designs. And best of all, Stitch will come to your home or place of business for fittings. “It’s also a great way to create a moment for the bride and her bridal party,” notes Harden, who suggests inviting the bridesmaid crew to your home or boutique for a private fitting party, complete with Champagne. And with quick turn-around times and a master seamstress always on-site, even last-minute wardrobe malfunctions can be deftly handled.